Game – Excessive knocking effect on wheels when playing rallycross (All platforms). Racenet – Community Delta times should now display correctly (All platforms). 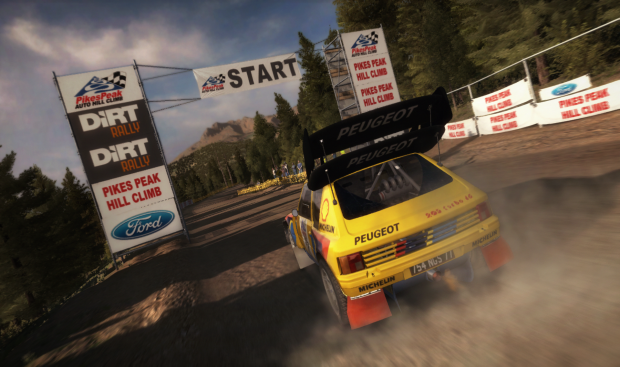 Game – AI for Classic and S1600 Rallycross adjusted to have more variety (All platforms). Leaderboards – They will no longer be blank and the difference column works (All platforms). Racenet – League events can now be restarted if you terminally damage, quit or complete an event (All platforms). Community – Fixed the missing string that was being displayed in a very specific situation when Racenet was unavailable (All platforms). Graphics – Fixes for rain effects displaying incorrectly on some AMD cards (PC). Graphics – Motion blur being applied to cars in bonnet camera and in replays (PC). Audio – Co-driver call near sector 2 in Russian is now played in the correct language (PC). Game – Fix to prevent unrealistic AI times being shown on Hillclimb if you save and quit after finishing a time for Run 1 (PC). Audio -Spotter call during the results screen for Portuguese Brazilian is now played in the correct language (PC). Graphics – Rain causing bad reflections on some windscreens (XB1). Achievements – The Only Way Is Up achievement now unlocks correctly (XB1). Finally, we’ve also been investigating your concerns and comments about the weak FFB on certain Thrustmaster wheels. It’s still something we’re looking at, but the difference between the T300 and other Thrustmaster wheels is that the FFB is perfectly linear, with the intention of providing more realistic vehicle handling. In the first instance, we’ve been suggesting look at the settings that Thrustmaster have recommended – and some players have also found that reverting to PS3 mode, then re-enabling PS4 mode, will solve the issue. Art – We’ve updated Pikes Peak International Hill Climb to celebrate the 100th Anniversary of the event, complete with official PPIHC logos and branding. 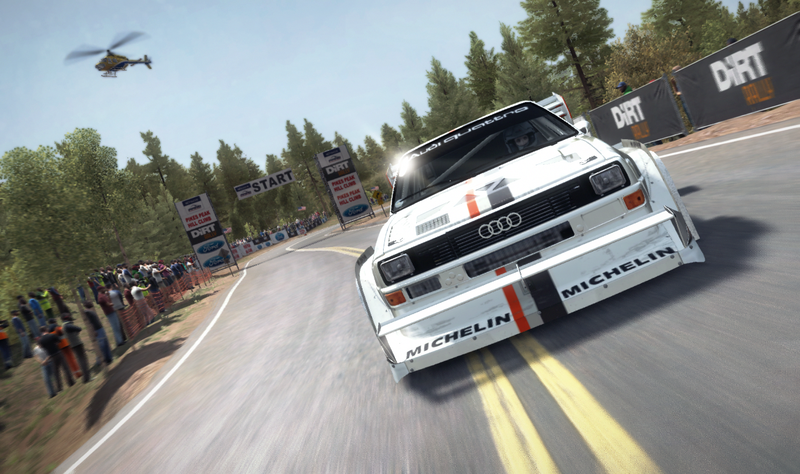 Game – We’ve updated the handling on the Hill Climb cars so that you can really attack the iconic Hill Climb course. We hope the patch in all of its Pikes Peak glory really enhances the Hill Climb experience for you, and that the fixes leave your DiRT Rally experience a lot smoother and more fun to play. As always, if you have any feedback for this update, please head to Twitter, Facebook, Steam, or our Codemasters forums to share it!